Formula One – Crummy stories! The Richard Mille space showcases some of the lesser-known episodes from F1’s history: four-wheel drive six-wheel single-seater vehicles. The history of Formula One is inextricably intertwined with the investigation of new technologies. Since the dawn of this – the highest class – of motorsports, engineers have spent their time looking for new technical solutions so that whichever constructor they represent can steal a march over its rivals and dominate the discipline. These wins which are supposed to push motor performance through the roof can sometimes take an unexpected turn. One example involves British engineer and inventor Harry Ferguson, noted for his role in the development of the modern tractor. In 1960, he asked Tony Rolt – the director his research firm – to design and build a four-wheel drive F1 car. The single-seater P99, designed around a tubular spaceframe and featuring a front-mounted Climax engine, was first raced in the 1961 British Empire Trophy. The designated pilot, Jack Fairman, was aided by Stirling Moss, but Moss was disqualified for outside assistance. Moss used the rain to his advantage to drive the car to victory at Oulton Park in a non-championship event. This was the only time a race had been won by a four-wheel drive Formula One car. An end was put to the project in view of the car’s excessive weight. And yet three years later, the same technology was to re-emerge. 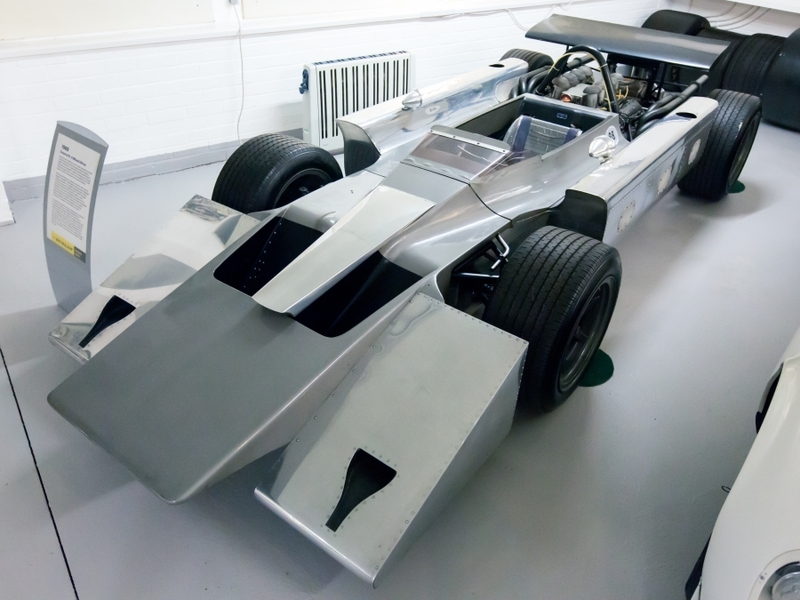 BRM developed the experimental P67 and entered it at Silverstone. Driven by Richard Atwood, the single-seater qualified last and was withdrawn from the race. So BRM decided to mothball the project. At the end of the 1960s, people were once again talking about this technology. In 1968, a combination of the sudden surge in power delivered by the first Cosworth V8 engines and the unusually high number of events raced on wet tracks (three out of twelve) resulted in traction problems that were so severe that a number of constructors decided to go back to four-wheel-drive solutions. So Cosworth, Lotus, McLaren and Matra all made the switch in 1969. All of these single-seaters proved too heavy and too difficult to handle. At McLaren, Bruce McLaren finished a car test drive by saying: "Driving the M9A is like trying to write your signature while someone keeps trying to move your elbow". The M9A was consigned to the museum. At Lotus, Colin Chapman – who had always been something of a forerunner – was similarly unsuccessful. Neither the 63 built in 1969 nor the turbine 56 built in 1971 proved much to write home about. The Lotus 56, however, caused more of a commotion. Emerson Fittipaldi qualified it at an international non-championship meeting and then Dave Walker ran the car in Zandvoort on a wet track, progressing from 22nd to 10th place in five laps before getting overconfident and sliding off the road into the tyres on the "Tarzan" bend. Once again, less proved to be more. To increase the adherence of F1 cars, engineers and aerodynamics specialists started experimenting with aerofoils. In early 1976, the general public were astounded to discover that not all single-seater cars had four wheels. Engineer Derek Gardner from Tyrrell developed a six-wheel single-seater car that featured four smaller 10-inch wheels at the front. The P34 began the season with a fanfare. Patrick Depailler, tasked with giving the car its baptism of fire in Spain, qualified it in third place. During the race, he wrestled with brake trouble. In Monaco, Scheckter and Depailler proved the fastest at the wheels of their V8s. In Anderstorp, Tyrrell’s drivers pulled off a double coup. The result was a good one: Scheckter and Depailler finished in third and fourth places respectively in the 1976 championship. But the following year was not quite so successful. Modifications to the P34 made it less competitive. 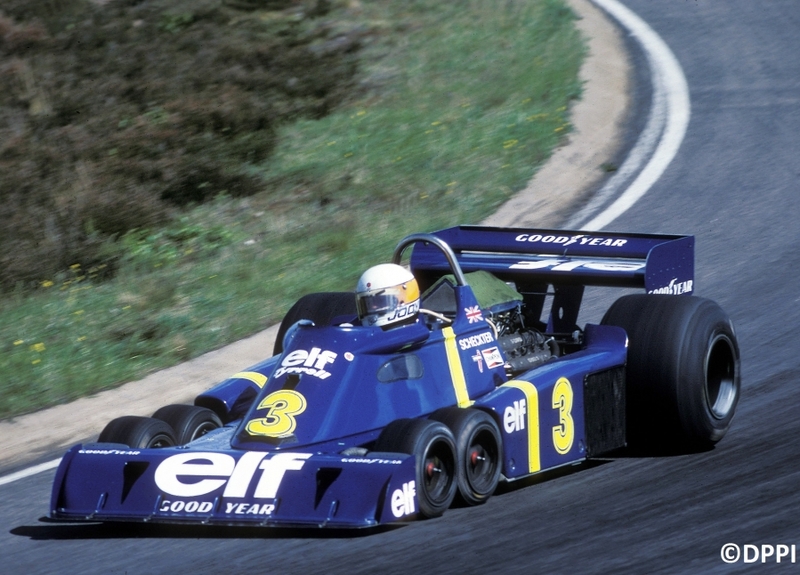 At the end of the season, Ken Tyrrell abandoned his experiments with six-wheel cars. But the P34 did succeed in inspiring Robin Herd. The British co-founder of March Engineering developed the March 2-4-0. Tested in early 1977, it differed from the P34 insofar as the four wheels were at the rear. In 1982, it was the turn of Patrick Head – Williams' star engineer – to design a six-wheel vehicle. But it was never to race. Hall 1, driveway P, stand 052.